BRACE yourself for a sweltering spring as winter's above-average temperatures are expected to extend into the coming months. As the last hours of winter dwindle, the Bureau of Meteorology are expected to reveal some record-breaking figures tomorrow. Preliminary BoM data today suggests 2017 is likely to be Queensland's warmest winter on record for maximum temperatures, and the second-warmest on record for mean temperature. 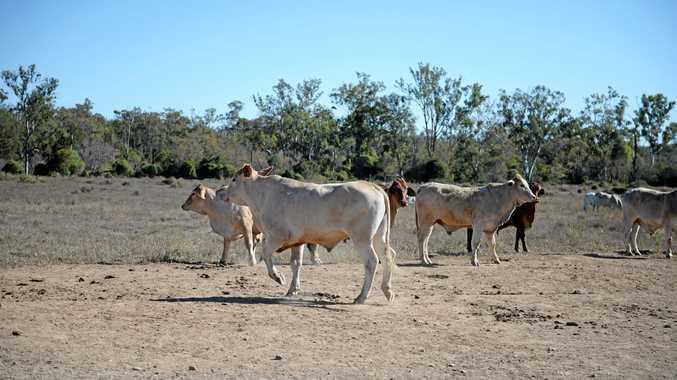 "Temperatures very much above average around Rockhampton and the Capricornia, July was especially warm” a Bureau of Meteorology spokesman said. The Bureau's spring outlook, issued today, shows little reprieve from the dry spell and reported an equal likelihood of an early or late onset. "With the El Niño-Southern Oscillation and Indian Ocean Dipole neutral, secondary climate influences, such as localised warmth in ocean temperatures and the Madden-Julian Oscillation, are likely to affect the onset date,” the outlook states. 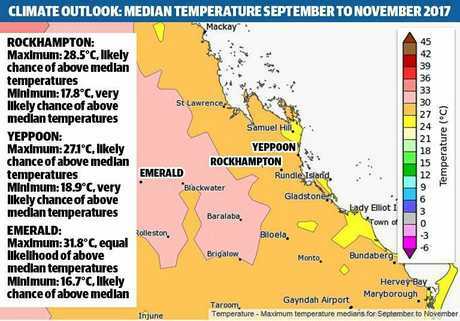 The BoM forecasts temperatures in Rockhampton are likely to exceed a median of 28.5°C for the September to November period. 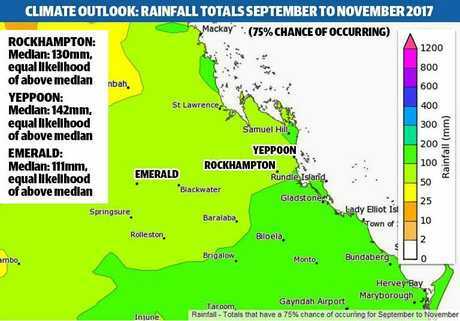 Yeppoon will be slightly cooler, with temperatures likely to exceed the 27.1°C median. Out west to Emerald people will feel the heat with a 50/50 chance of exceeding the 31.8°C median. According to the outlook, median rainfall across the three centres is expected to reach 130mm, 142mm and 111mm respectively across the three-month period. The Bureau of Meteorology are expected to collate the final winter weather tomorrow, but today revealed Australia had experienced its driest winter in more than a decade. Senior forecaster Dr Andrew Watkins reported the country hadn't experience such a dry winter since 2002, with high fire loads now fuelling the bushfire potential. According to Weather Zone data, Rockhampton's highest winter month records are 32.3°C on June 1, 1962; 30.6°C on July 15, 1946; and 35.1°C on August 30, 2009.